A few months back there was a festival of Sri Lankan flavours at Deccan Pavilion, ITC Kakatiya. 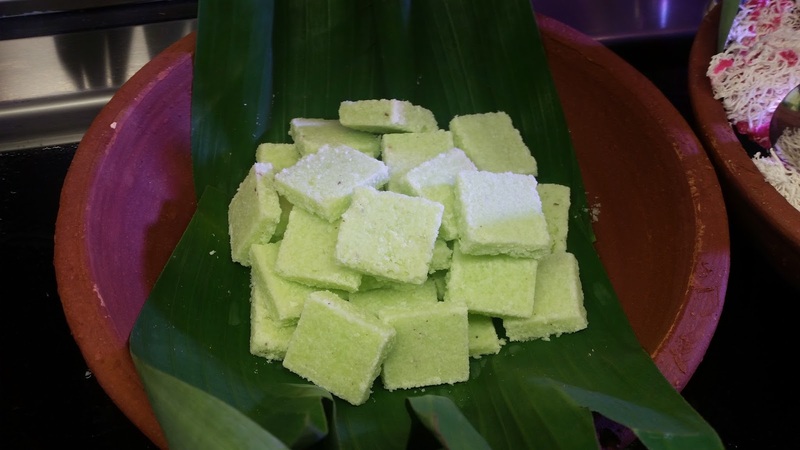 However, the theme of the promotion was the influence of Sinhalese food on the Tamils of the island country. It was not truly a complete representation of the diversity of Sri Lankan food. Cayenne, the all-day dining restaurant at the new Mercure hotel at Erramanzil now brings to us a festival celebrating the cuisine from the spice island. Chef Nihal Senanayake, a renowned chef from Lighthouse Hotel, Galle is in Hyderabad to curate the festival. 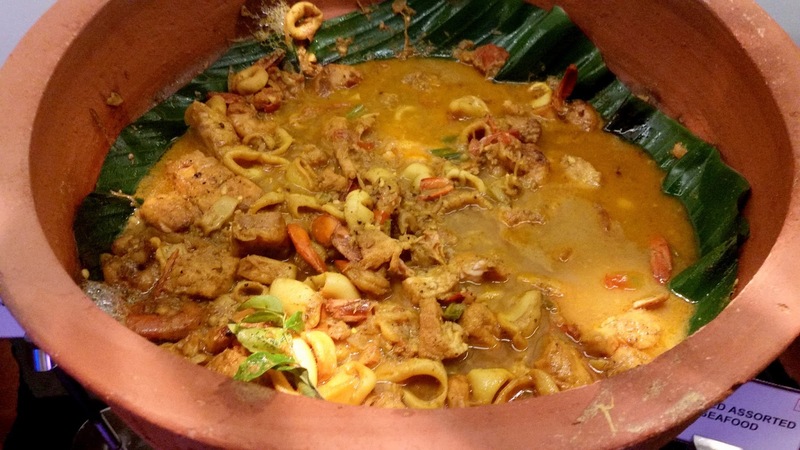 As per him, Sri Lankan food thrives in the combinations of ingredients it uses. Coconut is abundantly found in the state and is used in most of the recipes. Though the herbs and spices are quite similar to those used in the Chettinad region of Tamil Nadu and Kerala, there is a distinct influence of Malay flavours in the recipes. The Dutch who ruled Sri Lanka for more than a century also had their contribution, especially in a signature rice and meat dish Lamprais. Seafood is particularly a favourite of the Sinhalese people. The restaurant wore a festive look for the festival, with the buffet set up under a beach shack structure, reminding me of the display of food at the Galle Face beachfront in Colombo. 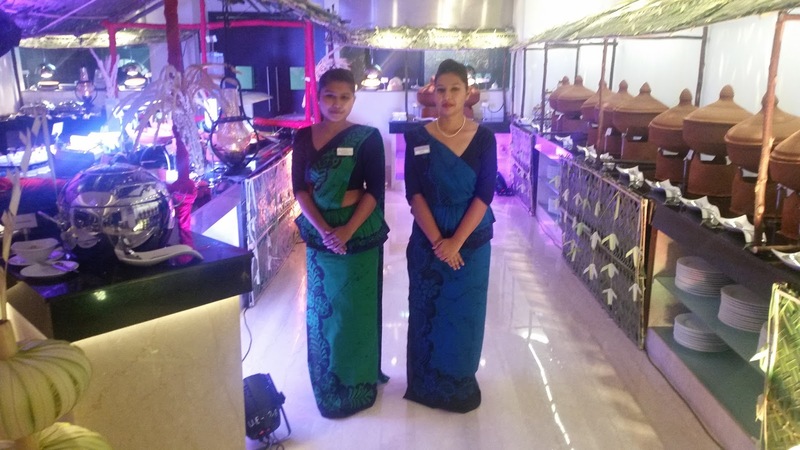 The wait staff were dressed in traditional colorful Sri Lankan batik attire. The sambols are the lifelines of Sri Lankan cuisine. There must be more than hundred recipes of the pickled dishes, and the Chef chose a few of them to set up a special counter. The sambols on offer on the day were Pol Sambol (spicy recipe with grated coconuts), Fried Okra and Tomato Sambol as well as Fried Auberigine and Onion Sambol. There were a few combo short eats on the counter too, the best being Tuna Fish Ambultiyal on Carrot Sambol, which had a tangy preparation of the fish on pickled carrot. Another combo I liked which had Roasted Chicken with Seeni Sambol. Raw Papaya Salad with some delightful mustard dressing was a huge hit. In fact, it was my constant add on to my entire meal. 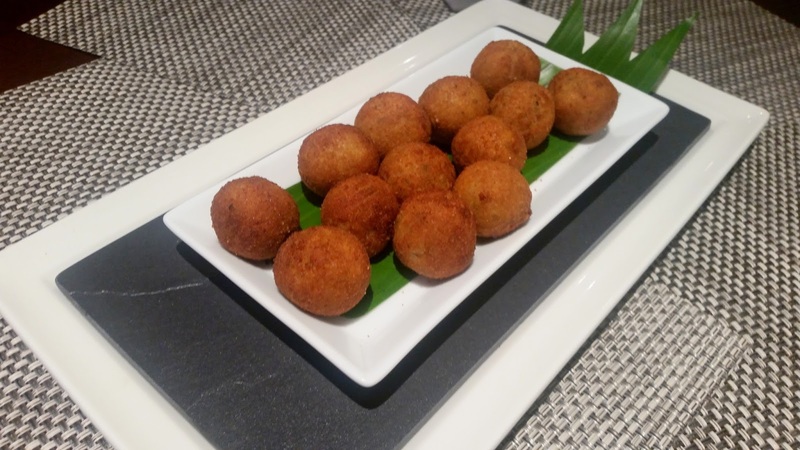 The starter which wowed us all was Tuna Cutlets, a round shaped croquette stuffed with fish. The filling with fish mince and Sri Lankan spices was perfect. I was looking forward to Lamprais, but unfortunately, neither this or String Hoppers (idiyappam) featured on the day’s menu. The Chef told me that they would be served on other days, as the festival has a different menu on each day. 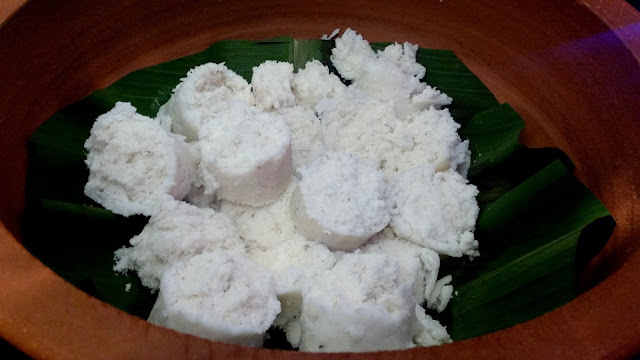 The main carb was Pittu, (known in Kerala as Puttu), cylinder shaped mounds of ground red rice from Sri Lanka. 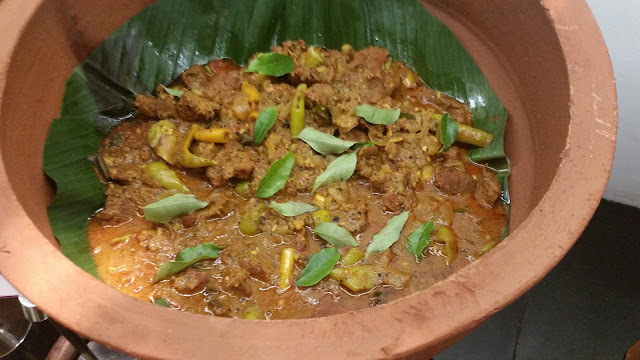 I loved this dish with Mutton Pepper Stew, the best preparation in the main course with typical Sinhalese curry flavours. Another non-vegetarian dish of note was Curried Assorted Seafood which had prawns, squids, and fish. The Kukul Mas (chicken) Red Curry, prepared in red chillies was nothing special. In the vegetarian section, the best of the lot was a preparation of leafy vegetables. The Cashew and Peas Curry went well with the yellow-coloured Cumin Curry Leaf Rice. 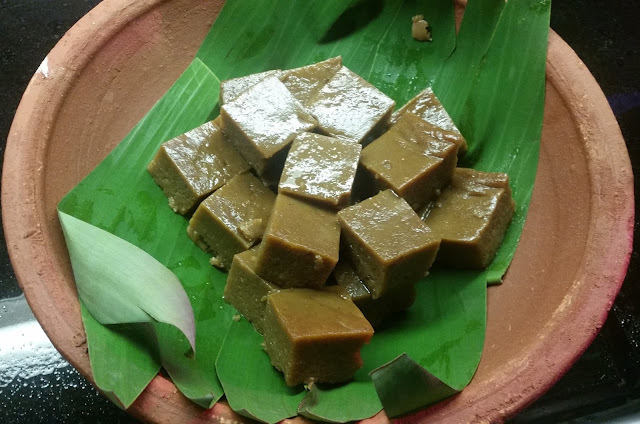 I loved the Jaggery Pudding which is similar to the Goan dish Dodol. Other desserts on offer were Mung Karali (a fried sweet of mung dal with jaggery inside) and Coconut Toffee. The festival provides an opportunity to food lovers in Hyderabad to try out some authentic Sri Lankan cuisine. Persons visiting should also interact with Chef Nihal, whom I found very knowledgeable in the short interaction I had with him. The festival is on till 21st July only for dinner. 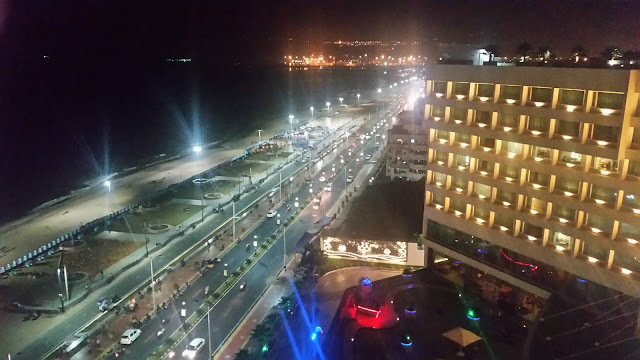 The dinner buffet is priced at Rs 1499 plus taxes and includes alcohol.